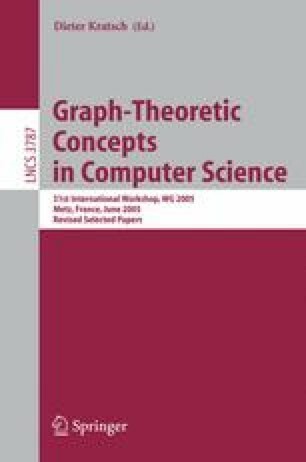 We prove that given a graph, one can efficiently find a set of no more than m/5.217 + 1 nodes whose removal yields a partial two-tree. As an application, we immediately get simple algorithms for several problems, including Max-Cut, Max-2-SAT and Max-2-XSAT. All of these take a record-breaking time of O *(2 m/5.217), where m is the number of clauses or edges, while only using polynomial space. Moreover, the existence of the aforementioned node sets implies an upper bound of m/5.217 + 3 on the treewidth of a graph with m edges. Letting go of polynomial space restrictions, this can be improved to a bound of m/5.769 + O(log n) on the pathwidth, leading to algorithms for the above problems that take O *(2 m/5.769) time.